it becomes hard to tell what is antique, and what is not. All our cabinetry and door designs are manufactured in our own factory. This allows contractors, designers and owners to oversee their production of kitchen cabinetry and specialized pieces in a friendly work environment. General contractors, architectural and interior design firms choose Carmel Mountain Cabinetry for their clientele, who expect original creation, and excellent quality cabinetry. If you are a designer or contractor, you will appreciate how impressing your clientele and customers with quality provides you with a unique advantage in today's competitive market. 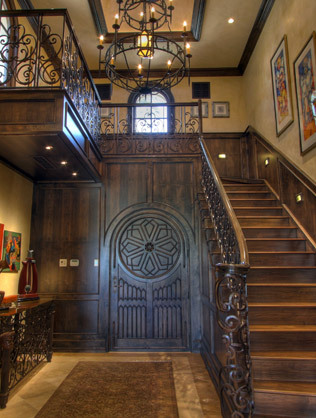 Let Carmel Mountain Cabinetry partner with you to transform your vision into reality! We are looking forward to working with you on your next project, to give you beautiful cabinetry and to create original pieces of cabinet architecture.